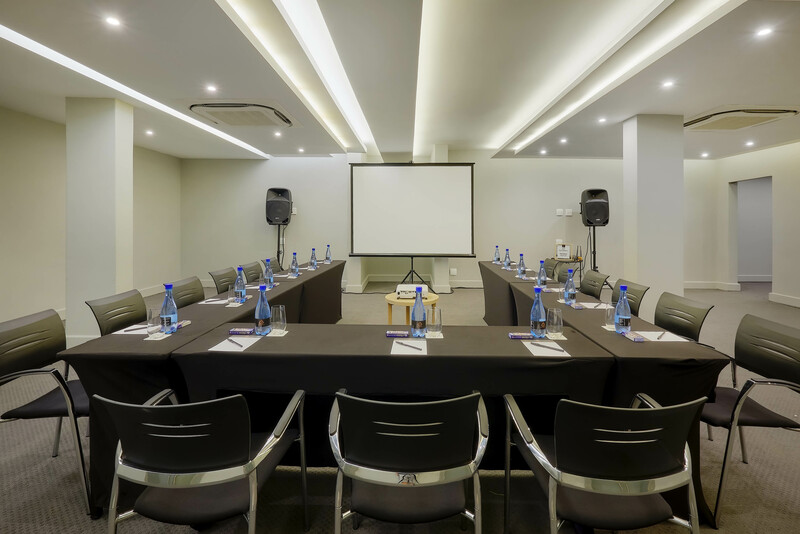 Host your meeting or event in luxury and style at the perfect location in the heart of Menlyn. Our first-class conference rooms include air conditioning, Wi-Fi coverage and audio-visual solutions. We cater for everything from smaller executive meetings through to large events or corporate delegations and our multipurpose rooms can accommodate up to 120 participants in flexible room styles. You can leave all the planning to our highly trained team; they will work with you to ensure your event is a success. A catering and refreshments menu is available on request.